Food Pulp Treat (FP) is a blend of scientifically selected microbes formulated to reduce BOD, COD, TSS, odors and excess nutrients in food processing wastewater. FP microbes will accelerate decomposition and digest hemicelluloses, celluloses, pectins and sugars along with other common proteins and carbohydrates found in food processing wastewater. 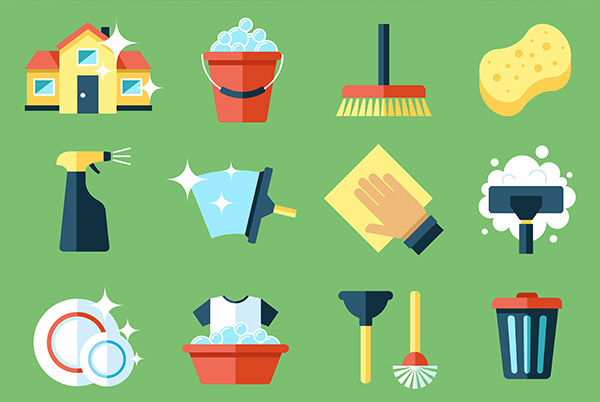 Ammonia, nitrates and sludge are also significantly reduced. FP is a blend of facultative anaerobic microbial cultures making this product effective across a wide range of target wastes and environmental conditions. Cleaning wastewater is tough, use FP to inject some instant reliability into your wastewater operation. Ideal for use in holding tanks and waste lagoons for food production operations. Available in granular and concentrated liquid forms (custom CFU counts available). Food industry wastewater treatment plant with activated sludge. Daily flow rate of 1,200 cubic meters per day and 20 hours retention time. Excessive generation of sludge/solids, high maintenance costs and BOD of 1,690 mg/L. Bio-Green Food & Pulp Treat (FP) was applied daily to the aeration tank. Treatment began in May as shown with the blue bars in the chart. 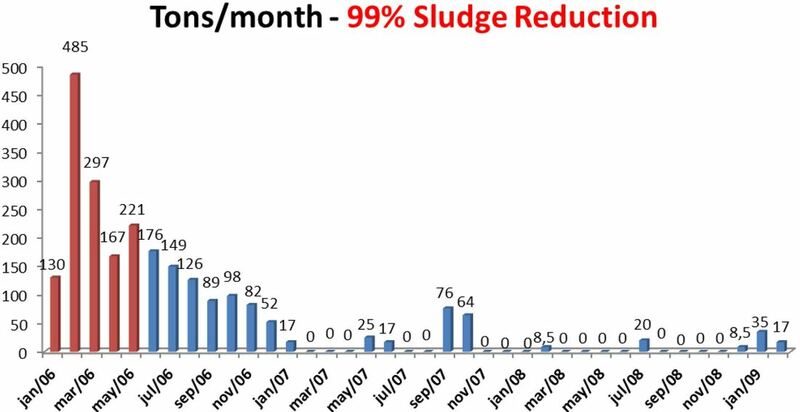 Sludge steadily declined and virtually eliminated within 6 months of treatment start. Sludge remained controlled for the following 2 years during which data records maintained. Significant operating cost reductions realized and treatment capacity increased. BOD reduced to 33 mg/L.